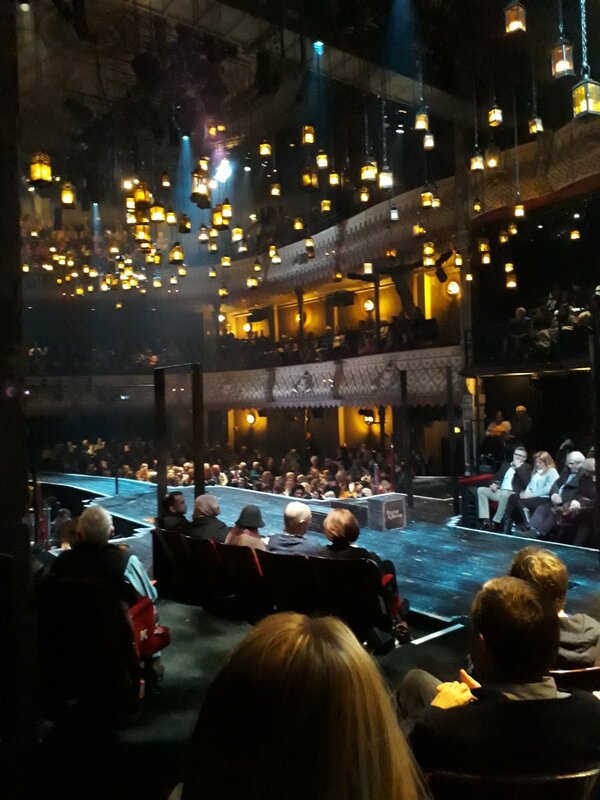 On the twelfth day of Christmas and the eve of Epiphany, to the Old Vic's magnificent production of Charles Dickens' A Christmas Carol. It was a stunning visual spectacle, with the whole theatre amazingly reconfigured for the production. 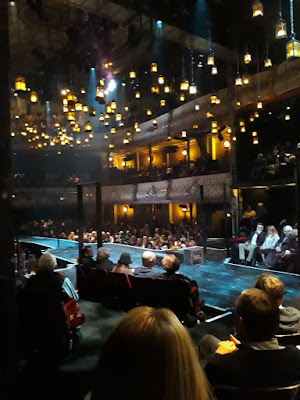 Then there was the music, the singers, the hand bell ringers, the dancers and the sheer power of the old carols that had such a prominent part of the production, and which struck such a powerfully Christian note in the heart of secular London. And that's without those deeply Christian themes of Dickens's 1843 classic. 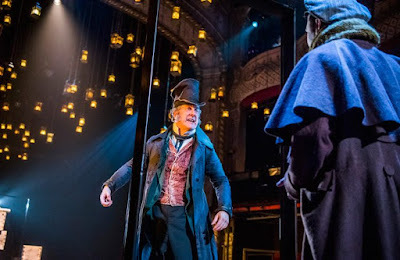 In Christian terms, A Christmas Carol is a story of redemption, of a heart that is strangely warmed and wonderfully changed. It is also a story of repentance. That comes out very strongly in the Old Vic version. Repeatedly Scrooge is told that he must change. At a time when the Gospel is being remodelled as a message of unconditional acceptance without the need for transformation, it is good to be led back, by C.D., to the Bible's own focus on the power of the redeeming love of God that brings us to repentance, and changes us. Dickens got that completely right. He has Scrooge say to the Spirit: "Assure me that I yet may change these shadows you have shown me, by an altered life." PS. 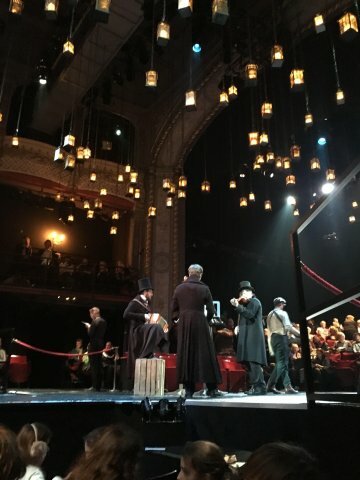 Christmas Carol is on at the Old Vic until 19th January. Highly recommended.